Cry havoc, and let slip the lobbyists of, um, lobbying! After spending months securing a spot on Houston’s roadways, Uber is stepping on the gas in Austin: hiring at least 23 lobbyists and paying them as much as $700,000 to make sure its on-demand ride service gets favorable treatment in the Legislature, according to records with the Texas Ethics Commission. Uber is the boldest among ride-on-demand competitors that include Lyft and Sidecar, companies selling not only rides but a lifestyle that is heavily online dependent with a willingness to cast off conventions. The company is fighting lawsuits and cease-and-desist orders, piling up fines and exasperating officials as it trumpets a new business model and the so-called sharing economy. Yet, the app-based companies also are embracing the old-school model of pressure politics and armies of lobbyists. Alongside Uber’s army of lobbyists, Lyft reported four lobbyists on board, committing up to $260,000 for their services. 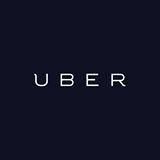 “We need a lot of bodies to assure that we’reteaching people aboutthe sharing economy as quickly as possible” said Chris Nakutis, Uber’s general manager in Texas and chief strategist in several states. Now Uber is threatening to pull out of San Antonio if the city enforces its new vehicle-for-hire ordinances. Mayor Ivy Taylor declared at least a temporary retreat last week. The tactic is one of the most extreme from the company’s pressure-politics playbook, as at least 19 states are considering legislation related to operations of the new transportation network companies. Uber, Lyft or both have contracted lobbyists in most of those states, records show. 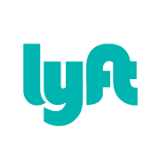 The commissioners still won re-election and last month joined colleagues on the Hillsborough County Commission in a vote to seek an injunction to shut down Uber and Lyft, which continue to defy a cease-and-desist order. Tampa Mayor Bob Buckhorn has refused to issue tickets to drivers, putting him at odds with the county. In Eugene, Ore., where Uber has refused to comply with licensing and other requirements, the city began issuing $2,000 a-day fines since December. In Orlando, new rules covering the app-based services went into effect Feb. 1 despite efforts to dissuade Mayor Buddy Dyer by Uber’s powerhouse Washington lobbying group, an alliance that also represents Facebook and Google. Be that as it may, when I read this story I wished it had been written by a Texas writer, because I’d love to know what Uber and Lyft’s specific goals for this legislative session are. On Friday, I received an answer to that question. Given the antipathy to local control on display so far, this should not come as a surprise. You know that I disapprove of the San Antonio vehicles for hire ordinance that has made Uber and Lyft leave town, but I think if that’s what the San Antonio City Council wants to do, it’s within their discretion to do so. The voters there will get to register their opinion on the matter in a few weeks. The capacity of Republicans in Austin to kick dirt on local control continues to amaze me. We’ll see what comes of this.